Shimla: The H.P. Commission for Protection of Child Rights, National Commission for protection of Child Rights and Sarva Shiksha Abhiyan Himachal Pradesh organised one day workshop on “Child Rights and Child Protection” at Himachal Institute of Public Administration at Fair-lawns here today. Chief Minister Virbhadra Singh presided over the inaugural session of workshop and stressed for monitoring child abuse and child trafficking under ‘Right to Protection’ and remedied on priority. He said that the HP Commission for protection of Child Rights was constituted on 27 April, 2013 for achieving the very purpose as guidelines were adopted in special session of United Nation Organisation (UNO) for protecting the rights of the children worldwide. 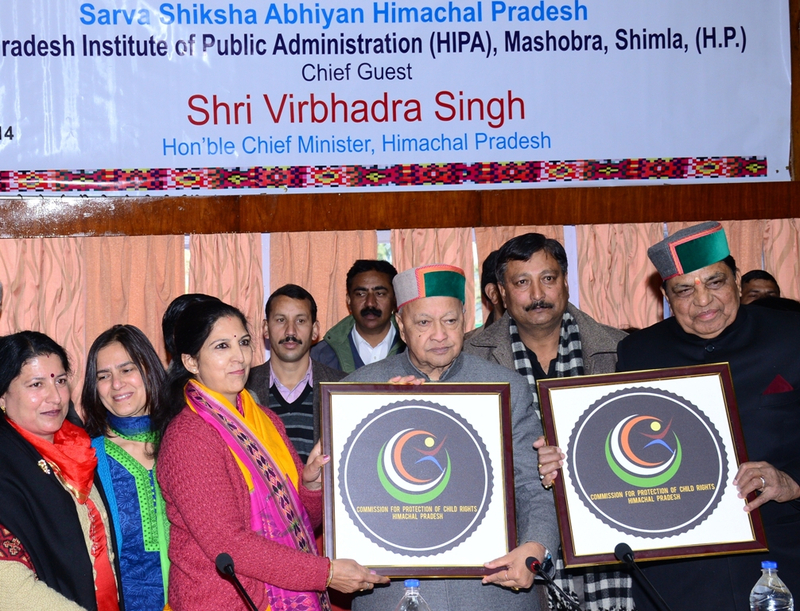 Virbhadra Singh said that the State commission though in its infancy, carries the responsibilities to create greater public awareness on the rights of children and the role of the duty bearers in the society for implementation of all laws, policies, programmes and activities and functioning of institutional mechanism related to child abuse in the State. Col. (Dr.) Dhani Ram Shandil, Social Justice and Empower Minister while speaking on the occasion said that Child Right was one of the most important issues and the need of the hour was to rehabilitate the children who had lost their parents. He said that the Commission should focus on redressing the grievances of the Children and pay attention to their rights. Earlier, Chairperson Himachal Pradesh Commission for protection of Child Right (HPCPCR), Shyama Dogra detailed about the activities of the Commission and about the protection rights of the children and their Right to Free and Compulsory Education. 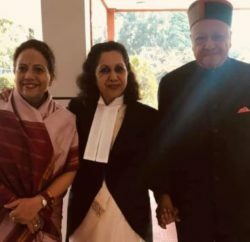 Chairperson, HP State Women Commission Janeb Chandel, Chairperson HP Social Development Board Satya Parmar, General Secretary HP Bal Kalyan Samiti Raj Kumari Soni, State Election Commissioner T.G. Negi, Director HIPA Priyatu Mandal, Special Secretary, Social Justice and Empowerment MP Sood, Members of HPCPCR and member of School Management Committees were also present on the occasion amongst others.